In this post, we will start to understand the objective of Machine Learning algorithms. 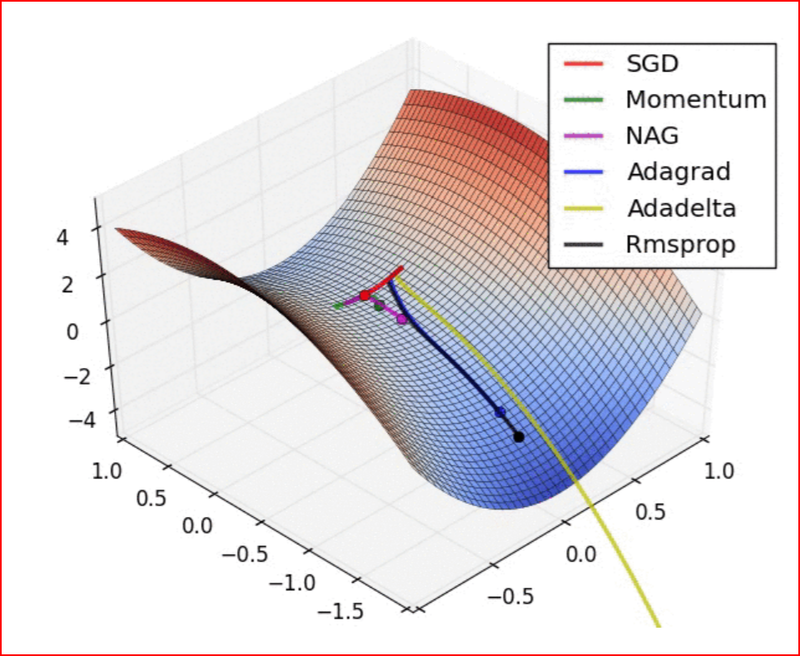 How Gradient Descent helps achieve the goal of machine learning. Understand the role of optimizers in Neural networks. Explore different optimizers like Momentum, Nesterov, Adagrad, Adadelta, RMSProp, Adam and Nadam. 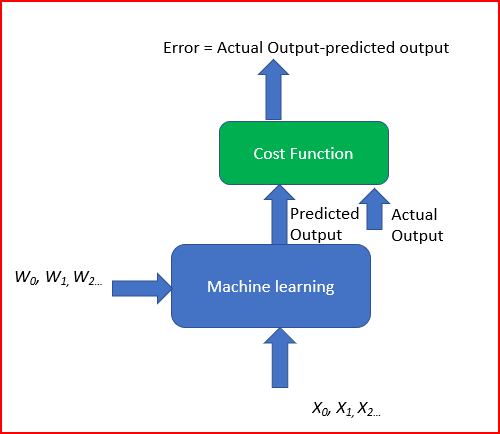 The goal of machine learning and deep learning is to reduce the difference between the predicted output and the actual output. This is also called as a Cost function(C) or Loss function. Cost functions are convex functions. To achieve this we run multiple iterations with different weights. This helps to find the minimum cost. This is Gradient descent. Gradient descent is an iterative machine learning optimization algorithm to reduce the cost function. This will help models to make accurate predictions. Gradient indicates the direction of increase. As we want to find the minimum point in the valley we need to go in the opposite direction of the gradient. We update parameters in the negative gradient direction to minimize the loss. Optimizers update the weight parameters to minimize the loss function. Loss function acts as guides to the terrain telling optimizer if it is moving in the right direction to reach the bottom of the valley, the global minimum. Momentum is like a ball rolling downhill. The ball will gain momentum as it rolls down the hill. For updating the weights it takes the gradient of the current step as well as the gradient of the previous time steps. This helps us move faster towards convergence. Convergence happens faster when we apply momentum optimizer to surfaces with curves. 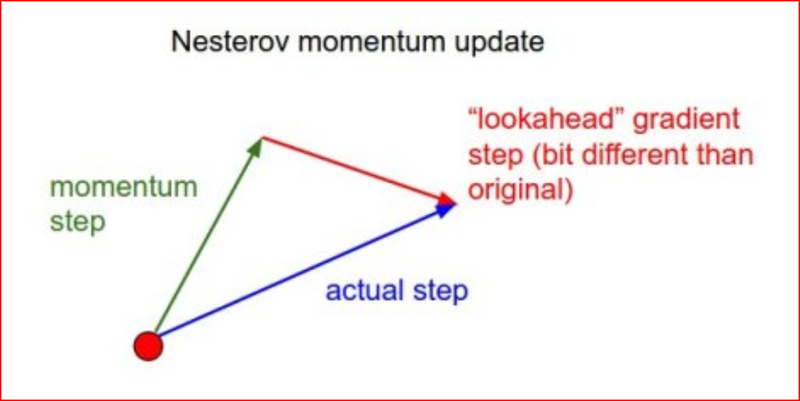 Nesterov acceleration optimization is like a ball rolling down the hill but knows exactly when to slow down before the gradient of the hill increases again. We calculate the gradient not with respect to the current step but with respect to the future step. We evaluate the gradient of the looked ahead and based on the importance then update the weights. NAG is like you are going down the hill where we can look ahead in the future. This way we can optimize our descent faster. Works slightly better than standard Momentum. We need to tune the learning rate in Momentum and NAG which is an expensive process. Adagrad is an adaptive learning rate method. In Adagrad we adopt the learning rate to the parameters. We perform larger updates for infrequent parameters and smaller updates for frequent parameters. It is well suited when we have sparse data as in large scale neural networks. GloVe word embedding uses adagrad where infrequent words required a greater update and frequent words require smaller updates. Adagrad eliminates the need to manually tune the learning rate. In the denominator, we accumulate the sum of the square of the past gradients. Each term is a positive term so it keeps on growing to make the learning rate η infinitesimally small to the point that algorithm is no longer able learning. Adadelta, RMSProp, and adam tries to resolve Adagrad’s radically diminishing learning rates. RMSProp is Root Mean Square Propagation. It was devised by Geoffrey Hinton. RMSProp tries to resolve Adagrad’s radically diminishing learning rates by using a moving average of the squared gradient. It utilizes the magnitude of the recent gradient descents to normalize the gradient. In RMSProp learning rate gets adjusted automatically and it chooses a different learning rate for each parameter. Another method that calculates the individual adaptive learning rate for each parameter from estimates of first and second moments of the gradients. Adam can be viewed as a combination of Adagrad, which works well on sparse gradients and RMSprop which works well in online and nonstationary settings. Adam algorithm first updates the exponential moving averages of the gradient(mt) and the squared gradient(vt) which is the estimates of the first and second moment.